Sharp blade endurance. Used wireless,convenient to operate. Charging time 8 Hours Accessories Easily change to length. Whether you are going for a formal business meet or a casual outing with friends, keep your beard looking its best at all times with this trimmer from Nova. 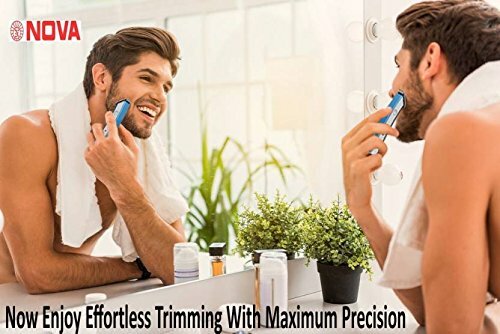 Stainless steel Blades This trimmer comes with stainless steel cutting blades which help trim your facial hair precisely, thus giving you a smooth trim. The variable cutting length and adjustable cutting settings make trimming an easy task for you. Powerful Motor and Free-floating head The powerful motor ensures efficient performance. This trimmer also has a free-floating head, so you can attach different clips to trim your beard. This trimmer comes with two clips, an oil can, brush and a travel pouch, so you can easily carry it wherever you go. 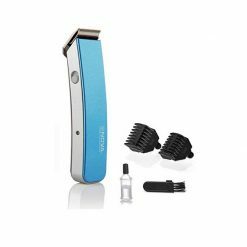 Cordless mode This cordless trimmer makes it easy to maintain presentable look even while you are travelling or when you are short of time. It is rechargeable, so you dont have to worry about the hassle of wires. Awesome trimmer in 299 rs.